In an increasingly dynamic education landscape, teachers rely on technological tools and equipment to develop the most powerful and time-effective instructional strategies. Califone International, a leader in the design, development and manufacturing of audiovisual (AV) for use in education, has been recognized as a top education technology provider in T.H.E. 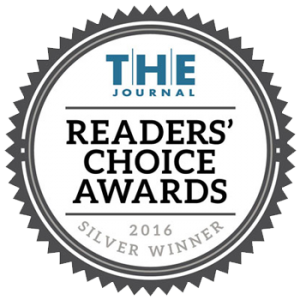 Journal’s Readers’ Choice Awards 2016. Selected by an audience of educators, Califone earned a silver award in the category of Best Classroom Audio Distribution/Sound Enhancement System Maker. For more information on Califone products, visit our product page.